The downstairs has a big bar with room for a band and a wonderful selection of craft cocktails. A night at the Argos Inn located in Ithaca, NY reminded me of some of the spots we stayed at in Italy and Spain. Historic structures refurbished with modern finishings to provide elegant and comfortable lodging. Ou room had the high ceilings of an nineteenth century home but also heated slate floors in the bathroom, Nest for managing room temp and Apple TV, which we could not get to work. 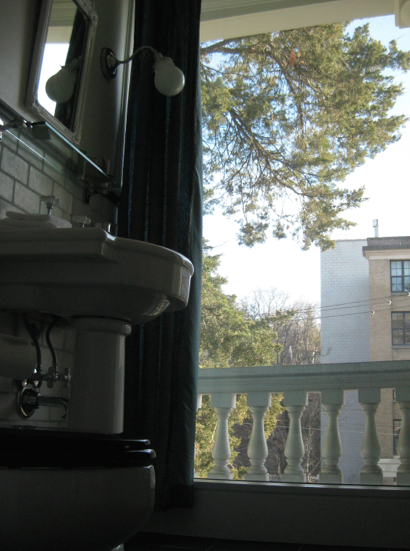 My favorite amenity was the floor to ceiling window in the bath facing the street. Natural light floods this home making it seem airy and modern. The room H/V system cycled on and off noisily all night waking me up each time. The beds are super comfortable, allowing me to fall back asleep quickly and there was no detectable street noise until after 7am. 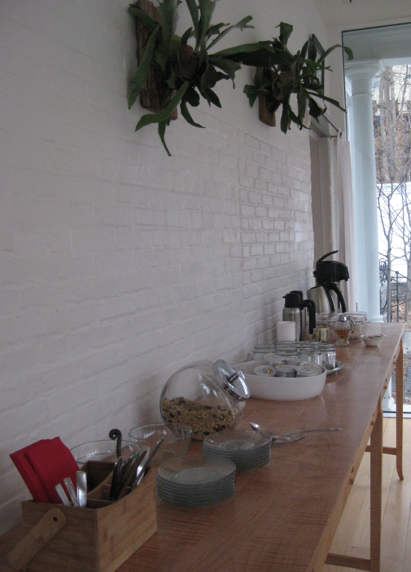 A long table in the breakfast sun room. 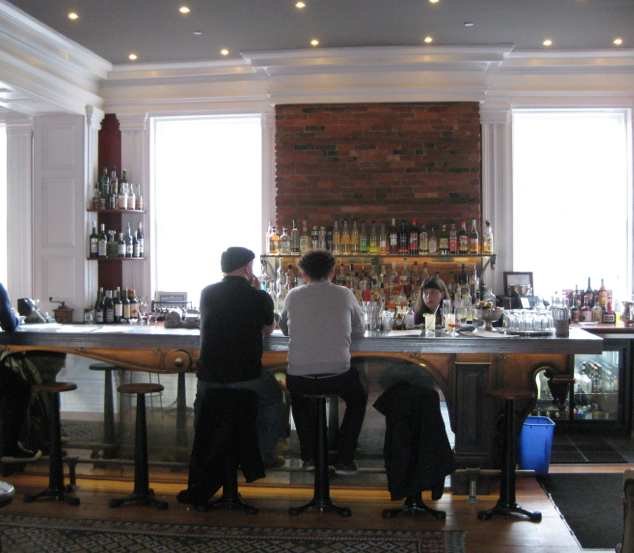 There is a wonderful bar on the main floor that often has live music. The sun porch is windowed and well heated making for a splendid breakfast room. This is not an inexpensive stay — but it is a worthy investment. If you love unique and tastefully restored homes, check this out. Entry filed under: Uncategorized. Tags: Argos Inn, Bed & Breakfasts, Cayuga Lake, Ithaca New York. Your blog is so great! I really enjoy it.